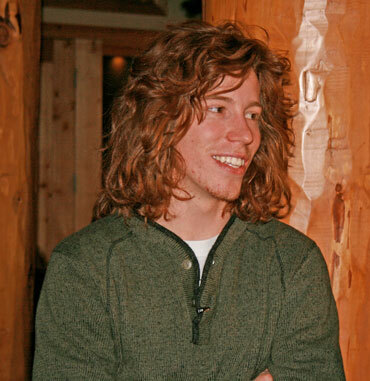 At the age of 23 Shaun White is already a veteran of the extreme sport of snow boarding. He turned professional at the age of 13 and is now the biggest name in the sport. Last week he won the gold medal in the men’s half pipe at Whistler – but how much was down to a sponsor with limitless funds, or was it just good luck, or was it the great professionalism that White emulates. The answer is they were probably all involved – let us explain. You could refer to this as bad luck, depending on which side of the table you sit. Two of White’s main rivals, team mates Danny Davis and Kevin Pearce were both unable to compete due to injury. Davis has a spinal fracture after an accident on a quad bike some ten days ago and Pearce is in a bad way after a very bad crash whilst practicing at the end of December. We wish them both a speedy recovery but their absence was for White a bit of luck. Whatever is said about the benefits of a personal training space and the fortunate absence of two main rivals we most certainly bow to the great professionalism of White. He had won the half pipe in Turin in 2006 and wanted to win again. But it had all been done before, snow boarding was deja vu. Not for White, he went up to his private training ground and with his coach, Bud Keene, determined to create something new – a ‘WOW’ factor. They came up with the dramatic spiraling Double McTwist 1260 which became known as the Tomahawk. White was so far ahead after his first run which in his own words included a “good-sized” backside air, a front double cork 1080, a cab-double cork 1080, a frontside stalefish 540 and a backside 900 to finish that it was all over in respect of the gold medal. Ever the professional White wanted to show the world what he could do and so in his second run, which scored an amazing 48.4 points, he pulled off the perfect Tomahawk. Incredible stuff and testimony to the professional. Peetu Piiroinen of Finland was the only one to put serious pressure on White, with a second-run score of 45.0. He finished with the silver medal. The bigger podium surprise was the presence of the American Scotty Lago, who used a big first run to capture a somewhat surprising bronze medal. We are able to show the Tomahawk in this video from jamieoverlooked and wonder what the flying Tomato will come up with when he defends his gold medal again in Sochi, Russia, in 2014. The Tomato may need more than a Tomahawk.